This small shore crab (Carcinus maenas) has been documented on the Washington Coast but not in Puget Sound, although trained volunteers are on the lookout for it. The green crab, which is not necessarily green in color, eats smaller crustaceans and can affect populations of native shore crabs, clams and oysters. [See related story.] They may also transmit a paralytic worm to shore birds that eat them. It is illegal to possess green crabs in Washington state. Also called the overbite clam, the Asian marine clam (Corbula amurensis) has not yet reached Washington waters, but it is considered a major threat. It was first discovered in San Francisco Bay in 1986. By 1987, it was the most abundant clam in the northern part of the bay. The clam, which can be tan, white or yellow, grows up to an inch long and eats large amounts of plankton, competing with juvenile salmon and forage fish. Mitten crabs (Eriocheir sinensis) have been sighted, but not confirmed in Washington state, but they are established in San Francisco Bay. Light brown to green in color, they have brown hairy patches on their claws, thus the name “mitten.” The crabs reproduce in saltwater but spend most of their lives in freshwater, where they can eat salmon, trout and sturgeon eggs. Commonly called sea squirts, tunicates are primitive animals that attach to docks, rocks and the undersides of boats. They can grow in huge masses covering and competing with other sea life for food and space. Three invasive tunicate species are present in Puget Sound. Styela clava, which are club shaped, have been found in Hood Canal, Elliott Bay and other locations. Didemnum vexillum, which form bloblike colonies, have been found on Maury Island and other locations. Ciona savignyi, which form transparent tubes, were seen in large numbers in Hood Canal, but the infestation later declined. Native to the East Coast from Quebec to Connecticut, Atlantic salmon (Salmo salar) are at the center of a huge farmed salmon industry on the West Coast. Although they have not been found in significant numbers in the wild, Atlantic salmon made the list out of concerns that they can spread disease and could potentially escape and compete with wild salmon. Cordgrass or spartina (Spartina alterniflora) has been found in various parts of Puget Sound where it is removed by an eradication team from the Washington Department of Agriculture. 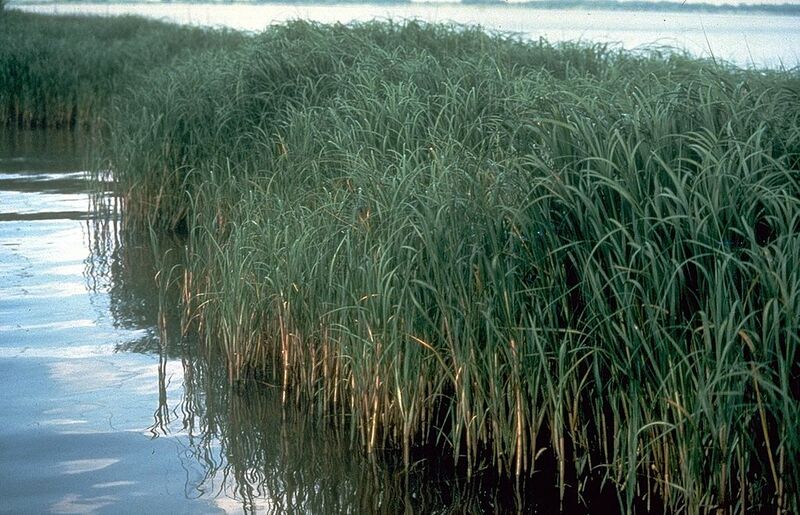 Once started, the plant spreads quickly along saltwater shorelines and freshwater areas. It can outcompete most native plant species, reduce marsh biodiversity and alter ecological functions. Caulerpa taxifolia, known as “killer algae” in California, is a bright green plant once popular in aquariums. In the Mediterranean Sea, it has overgrown and wiped out sea grasses, reefs and other native species, and it has altered fish communities. The state of California spent $7 million to eradicate two small infestations in Southern California. Washington officials fear it could adapt to the colder waters of Puget Sound and devastate native habitats. Viral Hemorrhagic Septicemia, or VHS, is a deadly fish virus that damages blood vessels and ultimately causes bleeding and leads to death. It affects more than 50 species of marine and freshwater fish in the Northern Hemisphere. It was identified in Europe in the 1930s and may have traveled in ballast water to the West Coast, where it was first seen in 1998 in marine trout and salmon. In Washington, occasional outbreaks have been reported in hatcheries, where state officials enforce strict controls on the movement of fish and fish products. Additional rules by the U.S. and Canadian governments seek to limit transmission of the virus. Review the full list of priority species in Washington state.